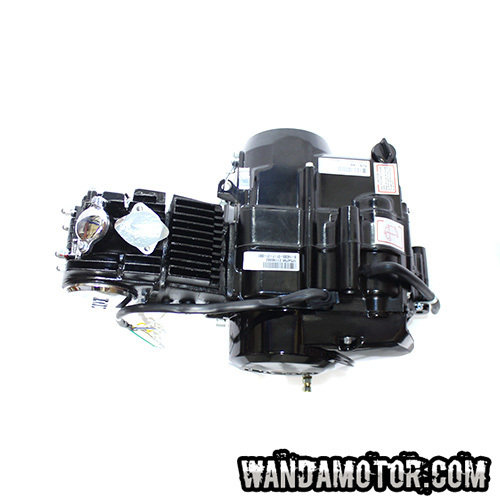 Complete 125cc engine bundle for mopeds and dirtbikes. 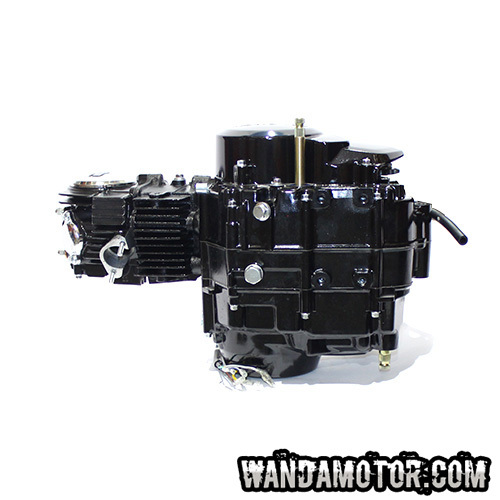 Suitable for all Monkey mopeds, enduro mopeds and dirtbikes that have had 50-150cc 4-stroke horizontal cylinder "monkey type" engine installed before. 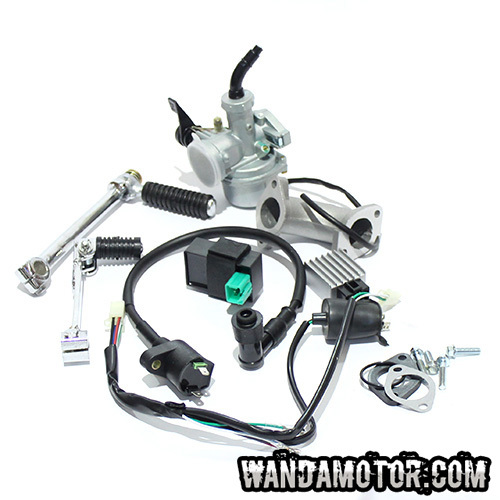 Including all accessories; wiring, ignition coil, CDI unit, carburetor, pedals and such. This engine comes from a factory with great reputation. All gears are facing upwards, the neutral is at the lowest selector. The set includes all the parts shown in the images. 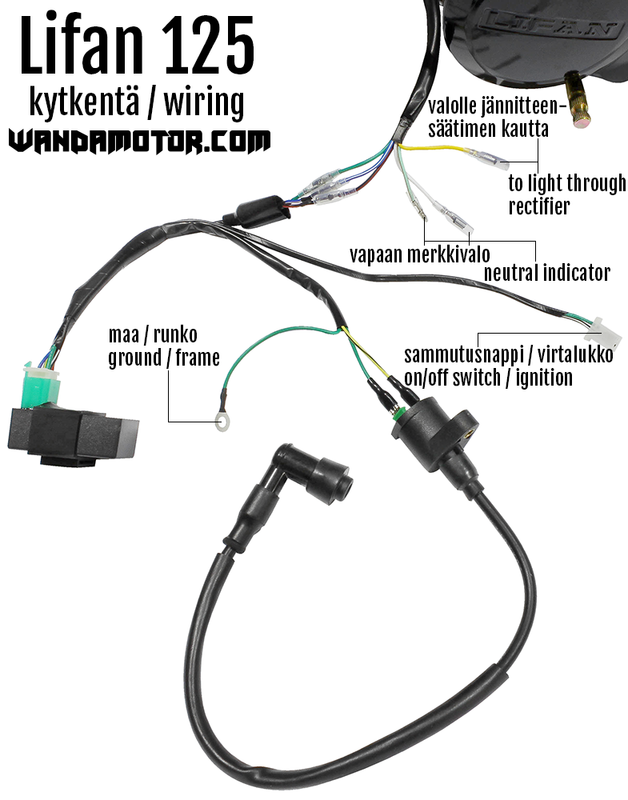 Check the attached wiring diagram. Please note that this engine is a racing product with no 100% warranty. If you are unsure, you shouldn't purchase this item. 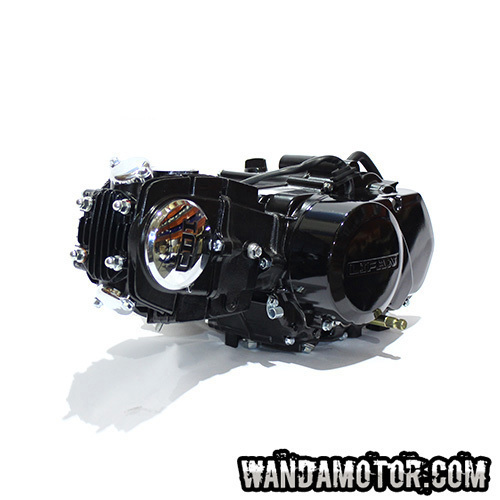 Power: 8.5 kw/9500 rpm ! Torque: 8.8 Nm/5500 rpm ! On this engine model the breather (1) has been covered with a rubber plug (2) to protect the breather during transport and installation. 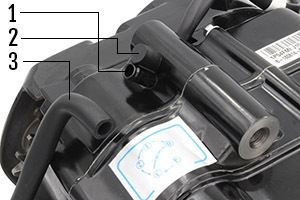 Before commissioning the engine, you must connect the breather tube (3) into the breather.